Mitchell the Moonwalker features a ratcheting head to mix and match his face and body. 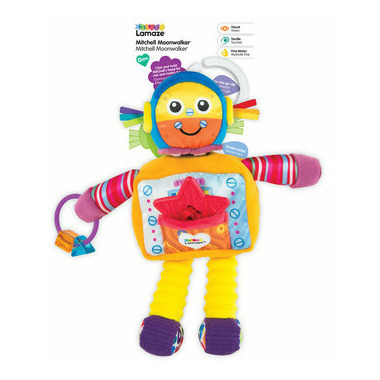 He features a put-in and take-out chewy star, clacking rings and beads along with crinkle feet, ribbons and multiple fabrics and textures for baby to explore. 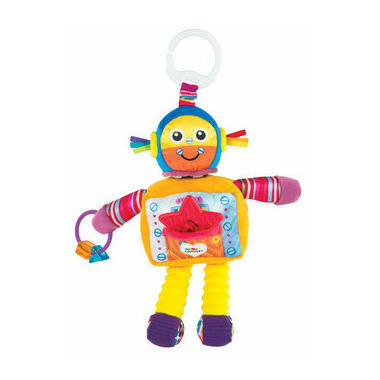 The Lamaze clip lets you hook him to strollers, carriers and diaper bags to take him along for on-the-go fun. Friends to the moon and back!